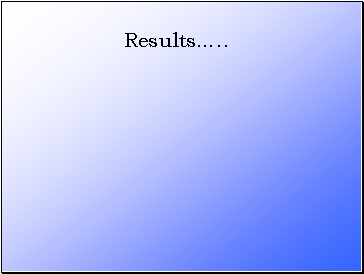 (a) The nucleus had a relatively small diameter compared with that of the atom. 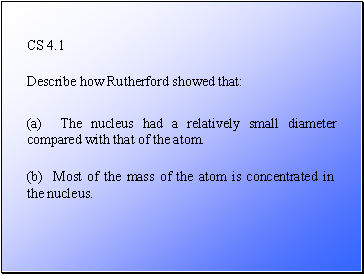 (b) Most of the mass of the atom is concentrated in the nucleus. 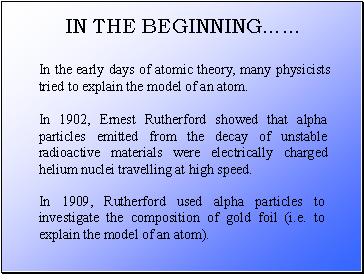 In the early days of atomic theory, many physicists tried to explain the model of an atom. 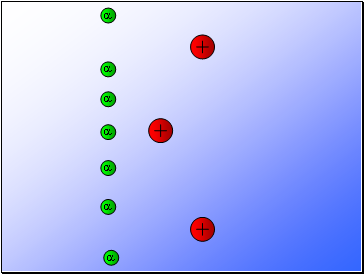 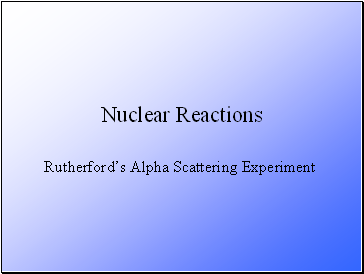 In 1902, Ernest Rutherford showed that alpha particles emitted from the decay of unstable radioactive materials were electrically charged helium nuclei travelling at high speed. 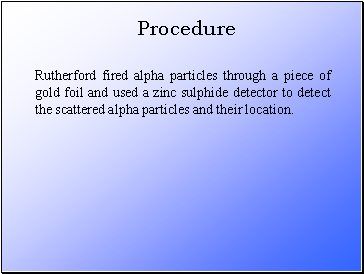 In 1909, Rutherford used alpha particles to investigate the composition of gold foil (i.e. to explain the model of an atom). 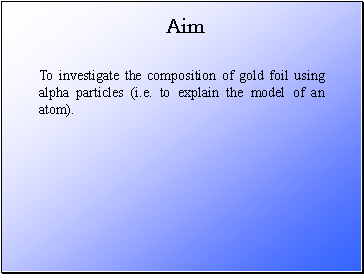 To investigate the composition of gold foil using alpha particles (i.e. to explain the model of an atom). 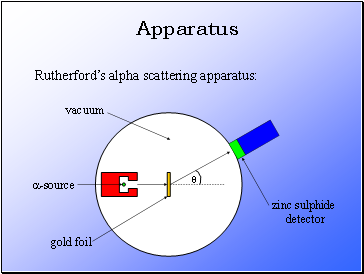 Rutherford fired alpha particles through a piece of gold foil and used a zinc sulphide detector to detect the scattered alpha particles and their location.